I’ve tried to currate a comprehensive list of the most frequently asked questions about Photoshop. If you have suggestions for an addition, please leave a comment. Why doesn’t my version of Photoshop support my camera? I’m having a problem while using Photoshop. How can I fix it? I’m having a problem while downloading, installing or activating my copy of Photoshop. How can I fix it? How do I make Photoshop run faster? How do I tune Photoshop for peak performance? What computer hardware is best for running Photoshop? The Crop tool only crops to 1px by 1px (or a tool is misbehaving). How do I fix it? How do I remove a background from an image? Where did the Extract Filter go in Photoshop CS5/CS6? Where do I get the TWAIN plug-in for scanning in Photoshop? How do I use/troubleshoot the TWAIN plug-in? How do I combine two images? I don’t like the grey application background. How do I see the desktop on Mac in Photoshop CS6? I can’t see more than one image at a time. How do I disable tabbed documents? How do I drag a layer from one document to another? Can I exchange my Windows PC license for a Mac License (or vice versa)? Where did the Lighting Effects filter go in Photoshop CS5? Why does the delete key bring up the Fill dialog in Photoshop CS5/CS6? How do I change the zoom tool back to the way it worked in previous versions? What are the differences between Photoshop CS6 & Photoshop CS6 Extended? How do I uninstall the Photoshop CS6 beta? Why change the crop tool in Photoshop CS6? How can I get the old behavior back? How do reposition the crop area after selecting the Crop tool in Photoshop CS6? What are the JDI (Just Do It) features in Photoshop CS6? How do I migrate my saved presets from an earlier version of Photoshop or import/export them? Where did the “No Color Management” option go for printing in Photoshop CS5/CS6? What happened to the automate commands Contact Sheet II, PDF Presentation and Web Photo Gallery in Photoshop? Why doesn’t Command/Control + z undo each history step? When I drag a layer, the whole group moves. How do I just move a layer inside a group? Why are there white grid lines around the pixels when I zoom in really far? How do I make it go away? Why does changing the light direction of layer styles on one layer affects EVERY LAYER with the same effect? Why does my brush cursor looks broken at certain zoom levels in Photoshop on Windows (XP, Vista, Windows 7)? Why should I submit a Crash Report? Does anyone read them? Why does my image get rotated and show a compass when using the trackpad on my MacBook or while using my Magic Trackpad? Is it safe to buy software from eBay, Amazon Marketplace, or Craigslist? How do I protect myself from hacked and counterfeit software? Why should I create an Adobe ID to register or activate my product? I recently upgraded from Windows Vista to Windows 7. I re-installed the same version of photoshop PS5. Why does Bridge have a totally different appearance now? Can you post what you’re seeing on this site? You can’t resize the text in the interface itself, but you can change the size of the font samples that show up when you’re using a type tool and choosing a font to use. If everything is too small, you might consider lowering your screen resolution which will make everything seem bigger on screen. If I try 7×5″ or 6×4″ size paper, part of the A4 size is only printed : wasting lots of paper as a result. Have tried all ways to solve the problem to no avail…..
Never had a prob with CS4 and mac snow leopard . Are you setting up the appropriate paper size from within File > Print > Print Settings ? That’s the driver itself and where photoshop tells the image to go to be printed after it has left Photoshop’s “hands”. If the paper size is not appropriate you’ll just get whatever papersize is being defaulted to there. Mountain Lion has shown a few printing issues with some of the printer drivers — if you’re using an Epson, go to their website (for example: http://www.epson.com/cgi-bin/Store/support/supportMountainLion.jsp), if a diff make, then head there for further mountain lion support. Is CS2 compatible with windows 7 with new computer recently purchased? CS2 should install and run just fine on a Windows 7 computer. I have CS2 premium suite and I needed to reinstall on windows 7 premium. it would not re-install from the discs, so I contacted support. They gave me the link to download the files (only way to do it now apparently). I downloaded and installed, (3 weeks ago). This seemed to work perfectly until this morning. When I tried to open Photoshop, an error popped up to say the file was locked and I would have to go to explorer / properties to unlock. I have tried that and everything else. with no luck. can you help please? I purchased Photshop CS5 Extended,an educator ed. I had trial ed. before, I played around with it and bought a discounted educator ed. It worked fine until the “your trial has expired” message popped up every time I clicked on the CS5 icon on my desktop. It looks like somehow the CS5 software that I overwritten. I don’t have problem with the CS5 that I installed on my laptop, the one that I have issue is my pc. Not only the proper CS5 doesn’t run now but my Adobe Acrobat 8 Professional had also been disabled after I installed the CS5 extended. I used to able to convert document to PDF with my Acrobat 8 professional, now when I use my Acrobat 8, the photo shop’s “your trail has expired” appears. It is very, very frustrating! I am tempted to re-install CS5 software because I still have the CD, but since I already had used up my license key twice, it probably will not allow me to re-install. Before uninstalling the CS5’s that are on that system, to be sure, hit Help > Deactivate which will allow you to install it and activate it again on this computer. Be sure to uninstall any Photoshop trials that might show up in your add/remove programs as well. I would go ahead with the uninstall/reinstall as a troubleshooting step. Do that and let us know what happens with the trial screen popping up. Why is there no Preset Manager for 3d Materials? In CS6 you can save individual presets but cannot reorder or group presets selectively into project sets. I suppose you could make your own sets by deleting all presets from the panel and then start all over from scratch by re-entering every single value in every single field for every single face for every single material you have already worked up, but what a time wasting kludge! How do I input camera/lens info to metadata when adding photographs to Lightroom from my old film camera? Hi Jeffery~~found the link to this page on Julieanne Kost’s blog. Why is the User Interface of CS6 so Teeny Tiny? :~( The main problem for me is seeing the increments on the Ruler. In my experience light on dark is difficult to see in general. I know that I am not the only one who has this problem, because I came across the thread on Photoshop.com last night about this topic. Hi Elaine, Thanks for the questions — Are you on a Mac or Windows? Photoshop’s interface colors are adjustable, in the case you’d prefer dark text and light interface. Preferences > Interface > Color Theme — There are 4 neutral tones to choose from. In terms of the size of the interface, There is also the option in that same preferences dialog for the UI Font Size. Setting this to large may help increase the visibility for you. You will need to restart Photoshop to see this preference’s effect. Another thing you could also look into is the resolution of your monitor. If on mac it’s system settins > Displays and On windows you can adjust the resolution as well with the Display>Screen resolution control panel. Setting the monitor’s resolution to a lower resolution will also increase the perceived size of Photoshop’s user interface. I just want to know how do I drape a pattern swatch that I have designed using a photograph such as a dress/shirt in photoshop cs6 to see what the design would look like. hey i use PS cs5 extended on a windows 7 machine… when i rasterize a layer, i cant use the artistic & brush strokes filters on that layer because those two gets grayed out.. i would like to know if there are any ways i can use them. I use Photoshop 7.01 on an XP and print to an Epson 7600 Ultrachrome inks printer. All prints come out fine. The newer OS systems don’t support the Epson 7600 drivers so I continue to use this setup and it works flawlessly for the fine art portraiture I usually do; however, I have run into a problem with Banner printing. When I go to Page Setup and enter in the appropriate info: Paper size, 2400 x 9000 for a 24 inch x 90 inch banner, choose Roll Paper (banner) select the appropriate Media, etc., then Print Preview shows the image incorrectly! This never happens with other images, they always display properly. What happens with the Banner image that was created in Photoshop as PDF and I converted to a JPEG is that Print Preview changes the dimensions to something @ 1/2 the Image Size. What shows up is a thin sliver of a bar and if I use Print Preview from the Printer dialog box the Image is only partially there (@ 40% of it). I defintiely could use help developing a workaround on this…. When I try to open a raw file in CS6 it locks up. It doesn’t matter how I try to open it, from CS6, by going to the “file, open with”, or with Bridge. Other files open up fine. Even after I put a new subject in my HP printer, the printer keeps reprinting a previous subject. How can I convince it to copy the new subject? I noted this issue on several user forums. Was it ever resolved? I’m using PS CS6 extended V13 x64 on an iMac running OS-X 10.7.5. I get an intractable “Documents must be saved before they can be merged” message attempting to use photomerge make panoramas. BUT it only happens when the images are in portrait (vertical) format. Landscape format images taken of the same scenes with the same (Canon EOS 500D) camera merge perfectly well. it does not matter if i read the files from the camera SD card or from my local HD. The files look identical in every way (permissions etc). This is very peculiar, and very frustrating, Some help would be appreciated. Can you post a set of affected files on Dropbox so we can try and debug? I desperately need help right now. I recently installed Adobe Photoshop CS6 but I cannot find the “Motion Workspace”. I think another workspace is missing. Can anyone help me in this? Are you looking under Window>Workspace>Motion? Help! I have Photoshop 7 on my laptop. I was editing pictures for our family reunion and I was making a display of several pictures on a blank file white page, then saving as a jpeg. Something happend and now the white page work area is one third the size where I placed my pictures. I could not undo it…don’t know how to fix it. I am on a short timeline and totally frustrated. I used the undo button until it was no more. I closed the program out and restarted and it is still one third the size (file, new, blank) Do you know how to fix this? Thanks!!! recently returned from the middle east, and have lost the use of my right arm. Is therre away in Photoshop that allows you to press a key and have it function as being held down while you can move the mouse. Example, in cs6, doing the extract function, if you select too much you can press and hold down the ALT key and moving the mouse to deselected parts of your image. I can manage multiple keys at the same time, but not mouse movements too. Really enjoy Photoshop and worked with it since photoshop 7. Hi Mike, Many devices let you map ALT & SHIFT keys to buttons on the device (e.g. multi-button mice or Wacom pen). This is usually done in the device driver. Let me know if this makes sense? My CS5 has 32 bits and a 64 bit version, but I can only use 32 bit version now . I may delete the 64 bit version. I read and tried many online sources about switching between 32 and 64 version. It wouldn’t work for me. Now I try to uninstall the CS5 and reinstall it all over again . ( I have installation CD ). The PS will not let me do uninstall it. It keeps telling me to close the bridge which it is already closed and there is nothing I can close anymore. Now I can’t uninstall the CS5, need some help about this. Sometimes when I click on my image with a selection tool the image goes away. All I see is a black screen. The selection tool does its thing, but I can’t see what’s going on because the image is gone! What am I doing wrong? How do I create a template for; title, name, date, and apply to subsequent photos? Repeat typeing for each photo is a pain. I purchased Photoshop element 3.0 probably 8-9 yrs ago for my notebook. I hadn’t had the chance to use my notebook much because I left it in another country. 2 yrs ago I was able to bring back my notebook to the UK. I managed to open it but it is terribly slow and dysfunctional in many ways. Would it possible to transfer the photoshop elements 3.0 to my new laptop so I can finally benefit the use of the program ? I have taken beautiful photos the past 2 years and would love to start editing it in Photoshop. Many thanks for your help. It wasn’t really designed to run on modern operating systems. It may be worth it to upgrade to the latest version (Elements 12) which supports Win 7/8. The DPI/PPI setting doesn’t affect the overall pixel dimension of the camera’s files. If you want the DPI setting to be higher, I’d recommend opening JPEGs through the Camera Raw plug-in and set the DPI/PPI in Camera Raw’s workflow options. I have always been a Windows user and I have my CS2 for around 10 years… And this year I just bought a MACBOOK AIR. I downloaded the CS2 MAC from adobe website but at the end of the installation it fails. Wont I be able to install it at my new laptop? Resave the file as JPEG file. The Photoshop Express editor can resize and resave JPEG files. Where are my old photos I had saved t my account in 2012? I’m trying to convert a picture to a colored-pencil sketch. Why does the picture turn red when I turn on the effect? Hi can you please tell me if photoshop works with windows 8 touch screen. can I use the touch screen like a drawing board. Support for Multi-Touch gestures for Win 8 is forthcoming feature. Stay tuned. am i abel to move my photoshop 8 from my old computer to a new one or do i have to buy a new one? If you’re on Mac, Elements 8 doesn’t run on Intel macs. If you’re on Windows, it may run on a Windows 8, but you may need to run in Compatibility Mode. After you’ve applied all the updates, launch Photoshop CS6 and choose “License This Software” and enter your serial # and/or sign in to activate your product. Let me know if that doesn’t solve the problem for you. I work with Photoshop Elements 8, I would like to move it from my old computer to my new computer (i use windows.) if it is possible? If yes. how do i do? Just bought a Nikon D7100 and after downloading the pictures I cannot view them and receive an error message telling me they are in the wrong format. I am running the latest version of photoshop and still have a problem. Anyone know of a possible solution? my left click works like right click on left tools panel and its open the mini window on tools…. any tips? i also reset all setting and didnt fix it. You’re welcome to purchase Photoshop CS6 using the old pricing model at $699/$999. The Photoshop Photography Program includes Photoshop CC, Lightroom, Lightroom mobile, Behance Prosite and get all the product updates/upgrades (e.g. Photoshop 15, PS16, PS17, PS18, PS19, PS20, PS21, PS22, PS23 & Lightroom 6, LR7, LR8, LR9, LR10, LR11, LR12, LR13, LR14, etc) for OS compatibility and support during that time. With the old model, you’d have to pay extra for upgrades in that same time period. It sounds like you have some third party plug-ins improperly installed. Ok heres my problem I am trying to hook up a Vist/Inkpad drawing tablet for PhotoeShop. The tablet works find on my computer but when i go on Photoeshop it will only make straight lines like i’m using the SHIFT function. By the way i’m on a mac. What version of OS X? What version of PS? I have updated to the most recent creative cloud version 1.7.1.418 – I am a fine-art photographer and I use the oil paint filter as well as frequent use of the adobe exchange window – both of which seem to be gone! I have researched online and can’t seem to find a way of getting them back. Please let me know as soon as you can regarding a fix as I have people waiting and I rely on these 2 important features. Hi. Whenever I save my photo, I save it as a JPEG. Well, every time I do this my image turns green or washed out looking. Is there anything I can do to prevent this from happening? Hi. Whenever I save my photo, I save it as a JPEG. Well, every time I do this my image turns green or washed out looking. Is there anything I can do to prevent this from happening?? Where are you viewing the JPEG when it looks washed out? It’s likely your viewing in a non-colormanaged application. Convert the color profile to sRGB to get the closest color representation when viewing in non-managed scenario. after many years with Elements, I purchased PS cc. Using Mac OS X 10.7.5 when I save file jpg PS does not save icon preview image. I checked in “preferences” and the settings are correct, set to “always saves” and check the “icon” and “miniature Windows”. what can I do? Hi Ale, OS X generates the thumbnail in this case. If the thumbnail isn’t getting generated, the OS X install may be damaged. When I insert my sd card to view my photos, they automatically open in Lightroom 5. Can i open them in Adobe CS-6, and what steps do I take to do so? Unfortunately the student CC version I bought for my daughter for college classes in graphics has caused her huge issues. It went crazy during an exam. Her professor claimed it was CC problems he couldn’t believe it either never seen that. I wish we could just buy good old photoshop and download it but was told by adobe not an option but at my daughter’s school many do just do this – not sure how? I would highly suggest students consider carefully before using CC for class exams and classes (which defies purpose of a student edition) but if it cannot be relied upon its useless. She lost 1/2 of the exam time’s work, had to restart on in classroom computer and redo it all in half the time. She luckily got a b grade but CC cost her a whole letter grade no doubt. I know they like the monthly fee – more money but if its constantly getting bugs in it like this that ruin a student grade it is shameful. Without specific details it’s hard to say what issue is. I only see one tech support case since she started with her membership in 10/13 asking how to install on a second computer which was closed on first contact. We’d need to make sure she’s running the latest updates and troubleshoot her issue: Try these steps to fix most issues: http://bit.ly/Troubleshoot_PS If she needs help, have her contact me or support and I’m sure we can get her fixed up. I am running Windows Vista. When starting Photoshop 6 it stalls when trying to load the fonts. Is there someway to fix this? Photoshop CS6? Or Elements 6.0? Since upgrading to the new Photoshop CC 2014, I get the ding sound when I try to switch my foreground and background color, and reset them to black and white using my hot keys. If I leave Photoshop and come back to it, it works  Any idea why these hot keys are now giving me trouble?? I’m running Adobe Bridge CC on a Windows 7 Professional computer. Whenever I use File > Get Photos From Camera… the Photo Downloader system works fine. But at completion it opens a new instance of Adobe Bridge. How can I prevent that? This didn’t happen with the old stand-alone system. Thanks! Lighting Effects requires 512MB of VRAM on your video card. Sounds like your device isn’t supported. Why can’t I view my files? “Original item can’t be found”? What the hell! My files are right where I left them. PLEASE ADVISE – NOT HAPPY!!! I’d need more info about which product/version/OS you’re using and what operation you’re doing when you get the message. Hi, I’ve got Photoshop CS6 and I’m often using the lighting function. But since 6 months, the ellipse has disappeared and I can’t orientate the ray of light anymore. What can I do to find the ellipse again? Thanks a lot for your quick answer. Raster based effects aren’t as accurate as vector based. 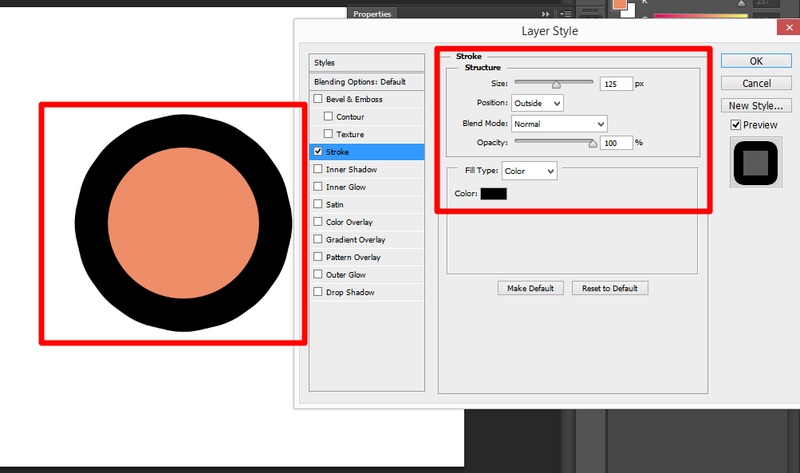 You’d be better served creating a shape layer and using the vector fill and stroke attributes on the options bar. Trying to figure out why I’m not able to use all the tool sets. Is the trial version limited to only certain tools? The trial version should be fully functioning. What tools are missing or not working for you? Is it possible to restore Lightroom 5 to a previous date? My photos are all over the place on my computer, probably because I missed telling them where to go when I finished in the “Develop” area. I use CS6 on my Mac. When I copy and paste a jpeg image on another jpeg image, I cannot adjust the contrast or exposure of the pasted image without it affecting the background image. What am I doing wrong? Thank you! That worked. There is quite a difference between my CS6/Mac & my CS2/PC. Thanks again. I would try creating a new admin user account and install/run under the new user to see if the problem goes away. I copied some text from Google and paste in Photoshop CS5 it shows the font name Latha and I tried to change the font its not getting change and it stays in the font Latha only. i have instaled some other tamil fonts also its not changing. somebody please help me to solve this problem! Is the text you’re wanting to change selected? I have both lightroom and photoshop cc2015. I edit a raw file picture then I save it to desktop as jpeg which if I open on desktop it looks exactly the same but if I email to another device it looses contrast but if I take the same photo and email out of lightroom it looks exactly how it did in photoshop without losing contast can you tell me what I am doing wrong or what is causing this? Make sure you convert the profile to sRGB when you save as a JPEG. The other thing to look at is your email provider. Some email providers recompress images when you email them, so that may be another part of the problem. While working on an image in PS CC15…I often get a yellow triangle bordered by black with a black apostrophe in it. What does this mean? Thank You. How do I get an image to duplicate itself? – Has the DVD-disk program exceeded because of the new ‘pay per moth’ method has came instead? – If I buy Photoshop CC and pay per month, will my OS-system accept it? If so, I am prepared to accept the special offer of SEK 90:- per month for Photoshop CC and Lightroom. I am now a retired teacher and have no company attached to my photo hobby. If your system can run Yosemite, you can do the Photoshop/Lightroom deal if you want the new features. Is there a way to copy guides from one photoshop document to another ? Im am using photoshop cc 2015. I have guides set up and i need to apply the same guides for 20 more PSDs with the same resolution as the first one. Is the a way to export guides from the original PSD to the other PSDs. Is there a quicker way ? You can set up a preset under View>New Guide Layout and apply it to new documents, or simply duplicate the document, remove the content you don’t want to share, and save it as a PSD template. GuideGuide is another 3rd party option for managing guides. How to take care of one picture. This image is an old document that was photographed with the camera. It is full of shadows and stains. I’d like to be finishing a white background with black contents. The content consists of a hand-drawn contours and letters. Thanks in advance. What page are you referring to? I have a picture which i want to crop and put in another picture irregular shape for my wine label, can anybody help me ?? I am having issues with my CS2, it is hard to describe, but it works fine for awhile, then the images just start almost tabbing through and disappear if you touch any keys or do any actions and you have to find them again. SO every step means hitting tab 5 times to do one thing. I have uninstalled and reinstalled on a different computer to test because I thought it was my computer, however it does the same thing. I know this is an old version, however it has worked perfectly for years and at this time I am not in a position to make another big investment I just want what i have to work. Any advice is much appreciated. My computer runs on Ubuntu, not windows. Will Photoshop still work on my computer? I need to know if I can put my adobe cloud on a lap top. I have it on a desktop now, but am going to be doing some traveling and I would like to take my lap top with me. How do I do this? Is there any additional cost involved? I just bought the 9.99 photoshop. It downloaded LR and now i try to click photoshop on my computer and it won’t open. So i uninstalled it and am now re-installing it but now it says my session had expired. I bought it and thats the whole reason i bought it: for photoshop itself. SOMEBODY PLEASE HELP. I’ve asked an agent to follow up with you directly. File- [Generate] button is always deactivated. How could I possibly activate it? I downloaded a trial copy of PS Element 15 and Premier Element 15. I recently received the DVDs and want to install. Do I have to uninstall the trial copies before I use the DVD? No, you don’t have to uninstall. Just enter the serial # you received with your disks to activate.